This post, by Arpit Joshipura, first appeared on LinuxFoundation.org. One of my primary goals at The Linux Foundation is to foster innovation across the entire open source networking ecosystem. This involves coordinating across multiple open source projects and initiatives and identifying key areas for collaboration to create an open source networking stack. We are working across the entire ecosystem with industry-leading partners — from developers to service providers to vendors — to unify various open source components and create solutions that will accelerate network transformation. As part of this journey, I am pleased to introduce Open Source Networking Days (OSN Days), a series of free events that are hosted and organized by local user groups and The Linux Foundation members, with support from our projects, including DPDK, FD.io, ONAP, OpenDaylight, OPNFV, PNDA, and others. OSN Days are a fantastic opportunity for network developers and users to learn how ONAP, OPNFV, OpenDaylight and other open source initiatives are changing NFV/SDN orchestration and networking solutions. Stops on the tour include: Paris, Milan, Stockholm, London, Tel Aviv, and Japan. Register today for an upcoming OSN Day in your region. The day-long events will start with a plenary session where attendees will hear from site hosts and The Linux Foundation speakers on the state of the industry and the collaboration and touch points between projects that make up the open source networking stack. Presenters will also explore how business opportunities like 5G and IoT are enabled by network transformation. In the afternoon, events may feature technical sessions, tutorials, demonstrations, and workshops that empower attendees to participate, contribute, and deepen their knowledge of open source networking. Our first OSN Day kicks off October 9 in Paris, followed by stops in Milan (October 12), Stockholm (October 13), London (October 16), Tel Aviv (October 19), and Japan (October 19). Thanks to our incredible site hosts Amdocs, ATOS, Cloudify, Ericsson, Huawei, NEC, Orange, RedHat, SUSE and Vodafone, along with our high-caliber roster of speakers, for helping to make these OSN Days a reality! More details about the events, including site-specific agendas, registration info, and details on hotel and travel, can be found here: https://sites.google.com/linuxfoundation.org/osndays/home. If you have any questions, or would like to host an event yourself in the future, please email OSNDays@linuxfoundation.org. Earlier this week Arpit Joshipura, our general manager of networking, talked with John Furrier (@furrier) and Stu Miniman (@stu) at Open Source Summit 2017 in Los Angeles. 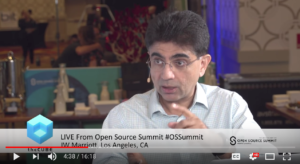 In this video Arpit says open source networking is now mainstream among telcos and carriers. The Linux Foundation is home to 8 of the top 10 open source networking projects. 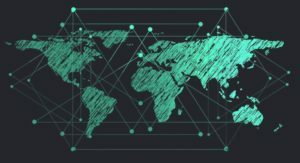 ONAP, one of the most recently launched projects, has already grown to 55 members and more than 1,000 developers contributing to the code. With the addition of Vodafone, more than 55 percent of the 4 .5 billion global subscribers will be influenced by ONAP. What’s the main driver for growth with orchestration, SDN and NFV? According to Arpit, with 5G and IoT on the horizon, networks better be automated. In this recent FierceWireless article, Arpit says many of the major carriers already support ONAP. Vodafone joins AT&T, Bell, China Mobile, China Telecom, Jio, and Orange as Platinum ONAP members. Working collaboratively the carriers will be able to deliver new services faster to boost revenue even before 5G hits, according to Arpit. Amdocs is wasting no time introducing service creation capabilities for virtual network functions (VNFs) based on the Open Network Automation Platform (ONAP). Today, Amdocs announced its new NFV Powered by ONAP portfolio. Even as ONAP continues the work of merging code from two open source projects, Amdocs is simultaneously touting its new offering. Its NFV Powered by ONAP portfolio brings software that lets service providers design new services based on VNFs. The software will help to create the services, orchestrate them, and then operate them. In a move that should surprise no one, Amdocs today announced an NFV software and services portfolio based on ONAP. As promised, carrier membership in the Open Network Automation Platform (ONAP) Project is growing, with Vodafone Group being the latest operator to join as a Platinum member. The announcement was made at the opening of the Open Source Summit North America happening in Los Angeles this week. Read more at Fierce Wireless.